Arranged for Fingerstyle Guitar. Composed by Martin Taylor. Tunebook, Style, Boxed, Technique, Theory, Reference & Rhythm. Grossman Guitar Workshop. Jazz. DVD. Duration 52 minutes. Grossman's Guitar Workshop #GW956DVD. Published by Grossman's Guitar Workshop (MB.GW956DVD). Martin Taylor's guitar playing has been greatly influenced by jazz pianists. 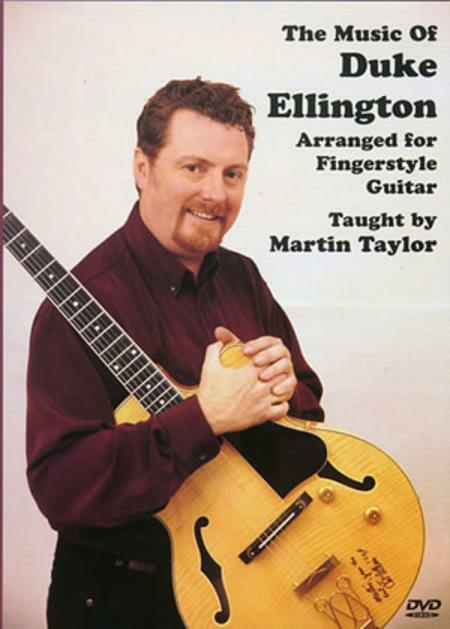 In this unique DVD lesson, Martin applies his fingerstyle jazz genius to the music of the great American composer Duke Ellington. Five of Duck's compositions are presented. These are complex and challenging arrangements for the advanced guitarist. A detailed tab/music booklet is included as a PDF file on the DVD.